There’s no arguing that Kuta is probably the area in Bali with the most notorious reputation for backpackers and the young ones who are ready to spend many all-nighters partying till sunrise. However, just two years ago, two establishments opened that provided what many consider as “the facelift of Kuta”. 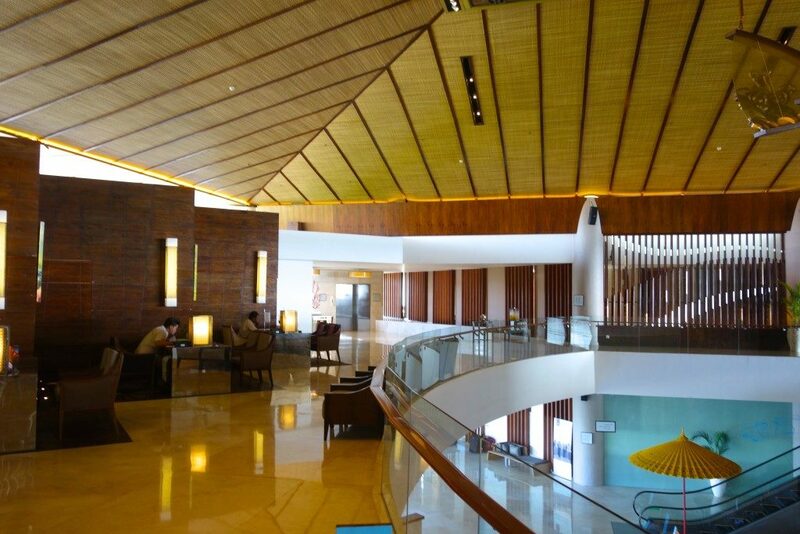 The openings of Sheraton Bali Kuta Resort and Beachwalk Mall have definitely changed the game of Kuta. Sheraton has brought in a lot of business travellers and families wanting abit of luxury, while the adjacent Beachwalk Mall is the only mall in Bali that has high-street fashion brands like Zara, Mango and Bershka. 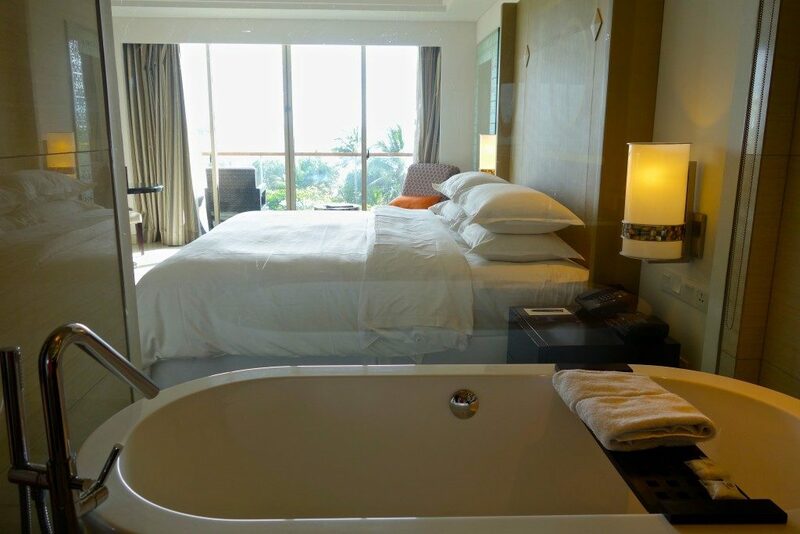 Last month we had the opportunity to stay at the Sheraton Bali Kuta Resort and this is how we found it. Possibly the warmest welcome we’ve ever had from a non-island resort. The moment the car doors opened, the resonating bang of a gong greeted us, and then followed by lively music played from bamboo xylophone. And just when I started to wonder, “Where’s the party at?” two beautiful Balinese ladies welcomed us with a traditional dance and presented us with a flower placed in our ear. 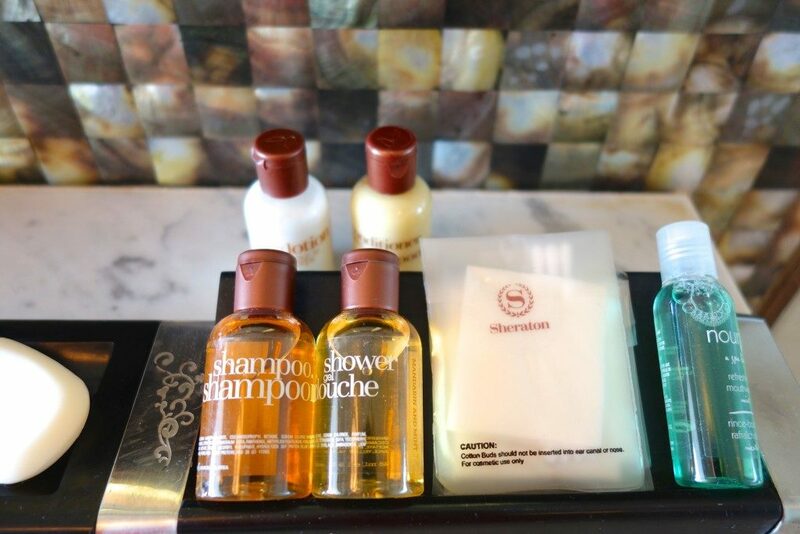 A warm welcome from Sheraton Kuta Bali! Definitely a very warm and impressive welcome! The interiors are Balinese inspired but it is very spacious and airy, taking advantage of the beachfront location. 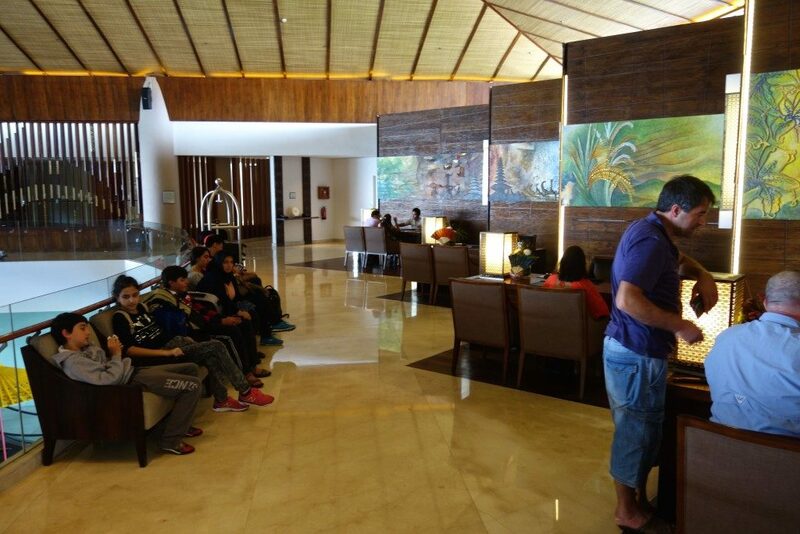 The main lobby and check-in desks are located on the 2nd floor. The photo above was taken around 4-5PM, when things have quieted down. I say that because when we arrived around 1-2 PM, it was peak check-in hour and the scenario reminded me of a bank. There were about 5-6 separate check-in desks yet unfortunately at the time, it didn’t seem enough (or fast enough) for the guests checking in. I felt for the exhausted guests who seemed to have arrived straight from the airport and were waiting wearily. The staff were very courteous and apologetic however, and explained that it was just a busy afternoon as they have two huge groups who arrived. We created this video hoping to show the warmth that Sheraton Kuta brings and the fantastic beach front location. We stayed in an Ocean View King room. 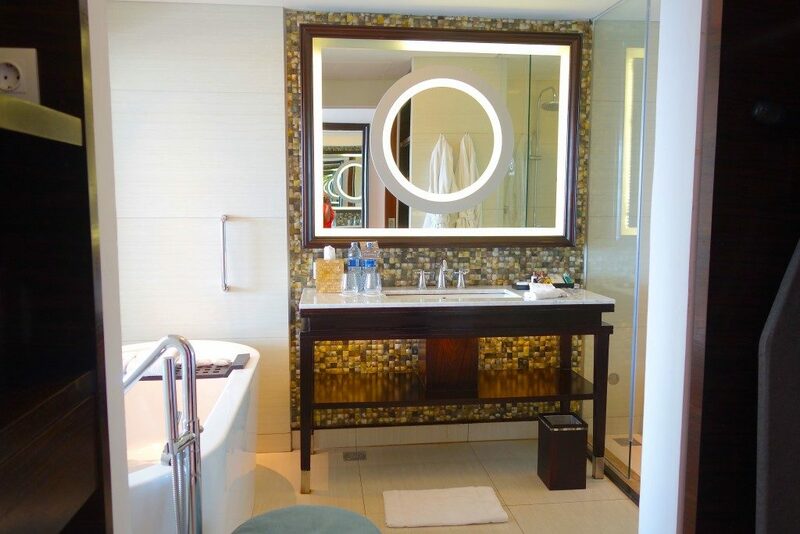 What I liked is that the bathroom overlooks the bedroom, which overlooks the beach. The overall atmosphere is very airy and light, which is always a good thing about hotel rooms. It is extremely clean inside, and you can really tell that the rooms and hotel overall is very new. As mentioned, it was probably a busy period for them especially that Sunday we arrived. 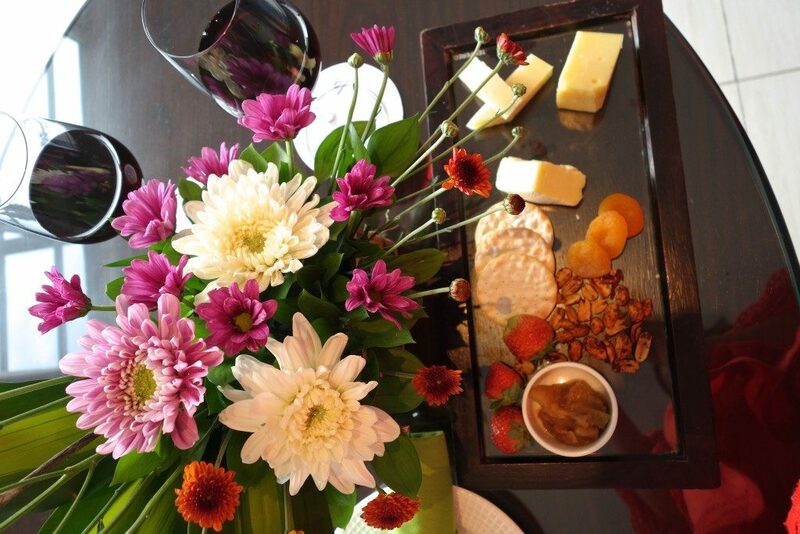 We did not have any turn down service on the first evening, but by the second evening we received not just a turn down service but a platter of cheese and wine with a bouquet of beautiful flowers. Through the inconsistencies however, the service was really friendly and warm. 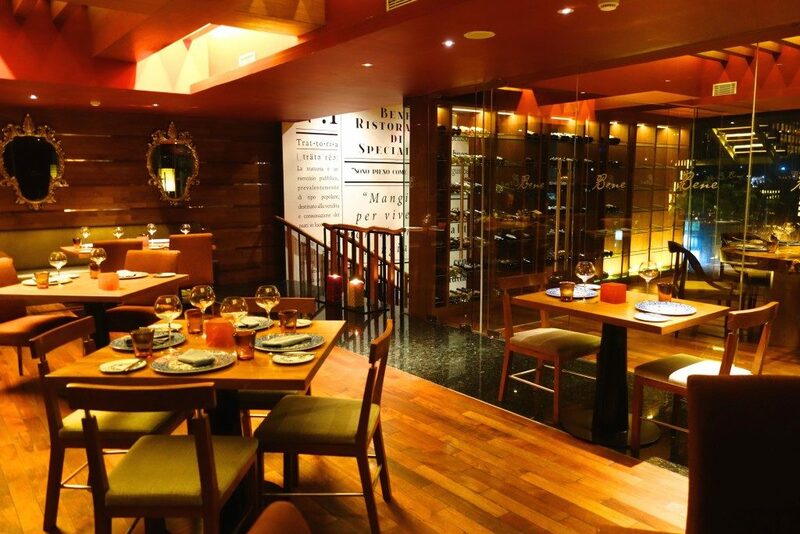 Sheraton Bali Kuta is also home to Bene Italian Restaurant – an authentic Italian restaurant with a modern twist to its menu. 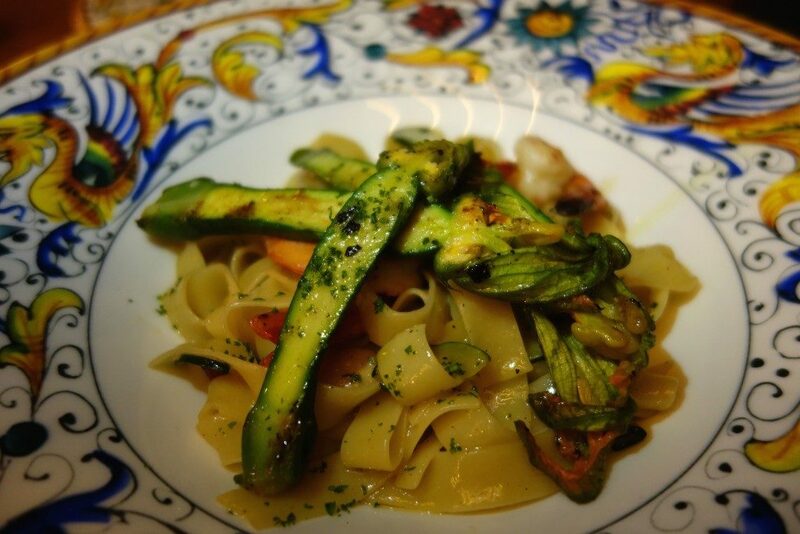 We chose pasta as it seems to be their speciality – they have such a numerous selection of pasta, it took us more than 15 minutes to choose from the very extensive variation! 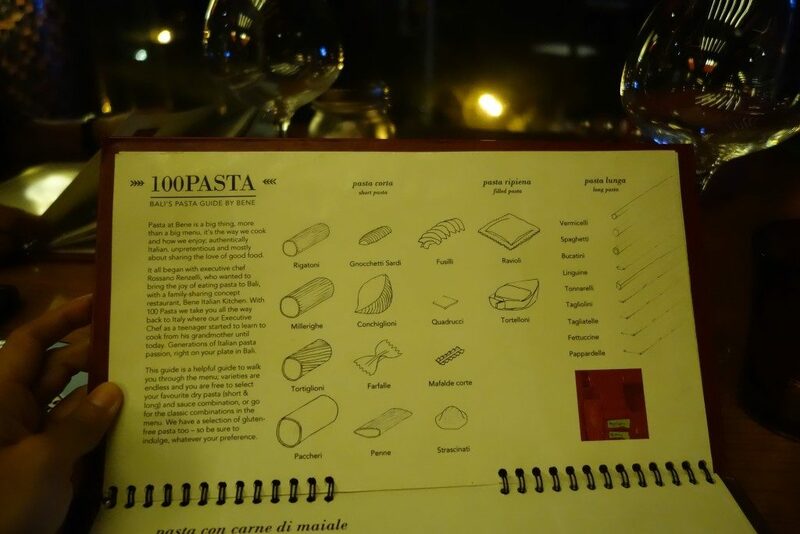 And I’m also glad that their menu had an illustration of the different pasta types because I only know by heart about 3! 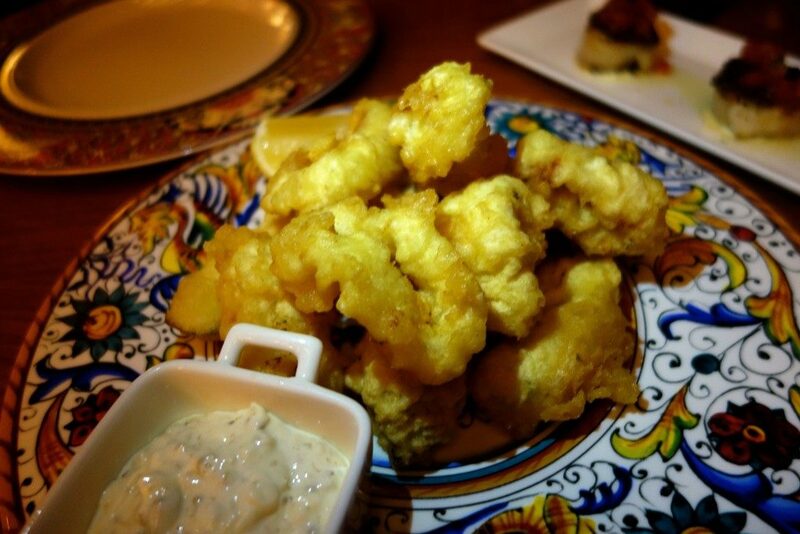 We ordered calamari and for my main meal, I had pesto with lots of garlic and prawn. A very simple pasta meal, as I always prefer very basic dishes. It was really fresh and garlicky, which I love. I did not have any more room for dessert but this is what Zombie got. 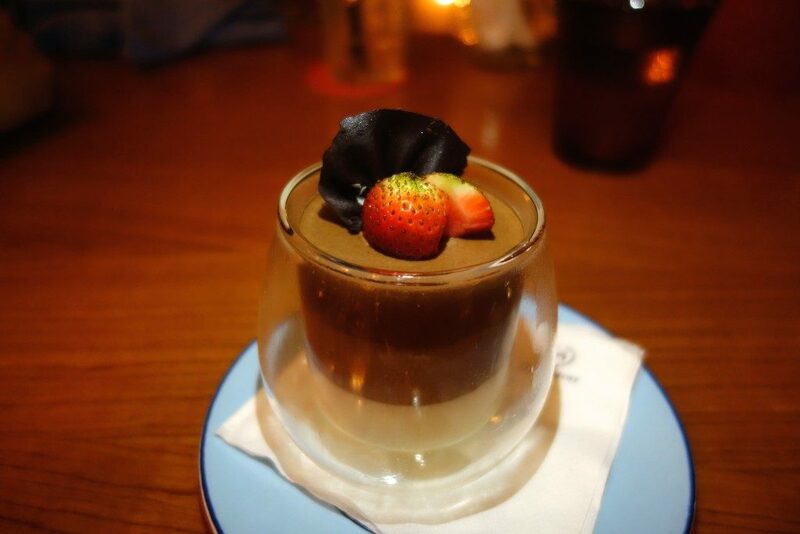 A triple layer of chocolate mousse. 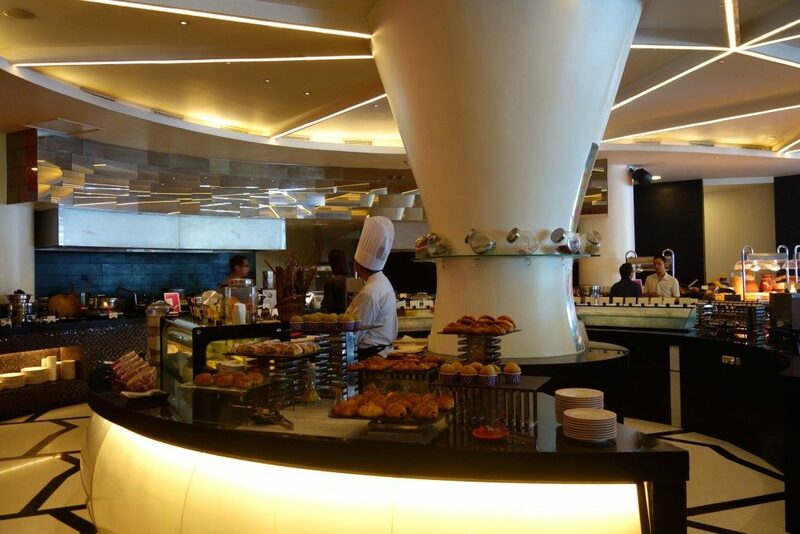 Held at Feast restaurant, breakfasts are indeed a festive affair at the Sheraton Bali Kuta Resort. 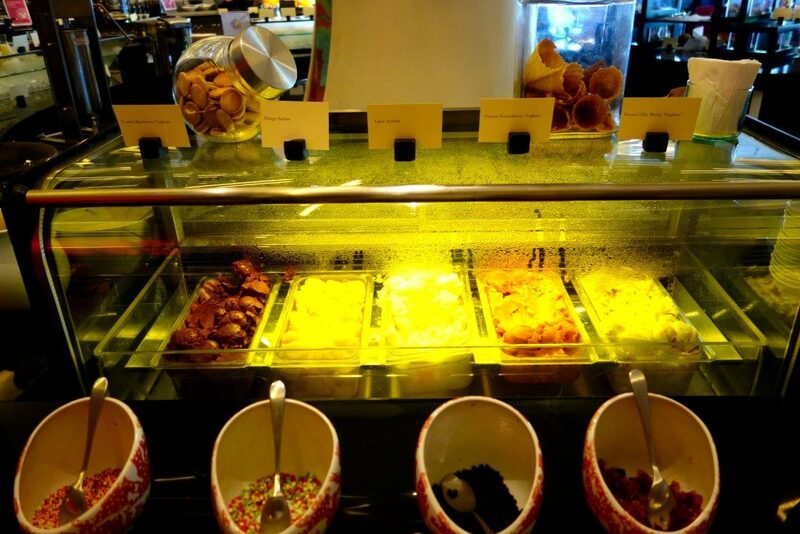 Served from 0600 – 1030 AM, there is a wide selection of Asian, Western, Japanese and Continental breakfasts. Be sure to arrive earlier rather than later because by 10AM, the selection and food starts to dwindle abit and they do not refill. 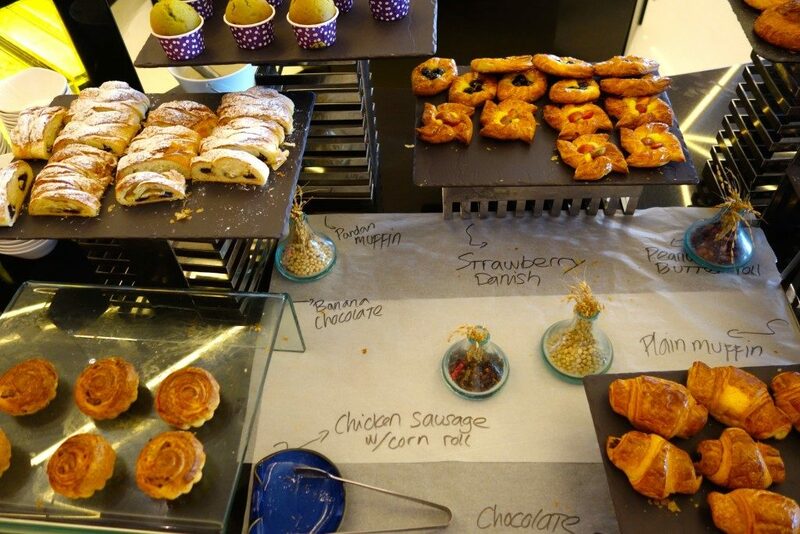 Bonus points – a huge pastry area and ice cream station! The pool is quite stunning especially as it overlooks the beach. It isn’t small at all, but for the size of Sheraton (over 200 guest rooms), I thought the size could be bigger. 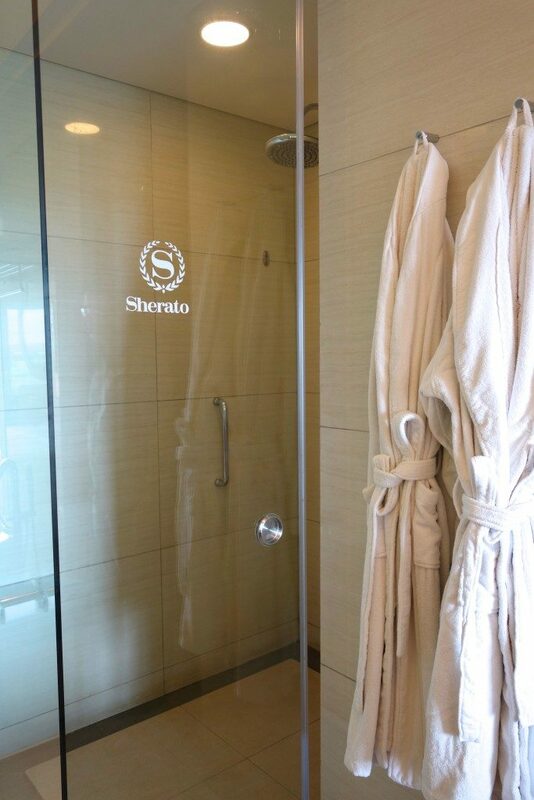 The Sheraton encourages its guests to socialise and mingle with one another so they have set up all recreational centres (pool, gym, spa) in one area. This is a very family-oriented and child-friendly hotel. 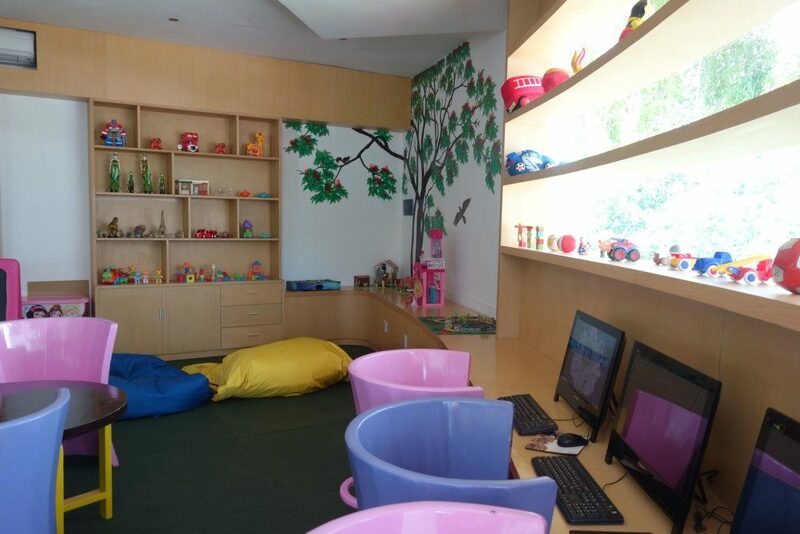 There is a children’s club that can be used by guests free of charge. And best of all, families travelling with kids old enough to stay in a separate room will enjoy 2 full rooms. The kids will be next door (a king bedded room and a twin bedded room next to each other, with a bigger main door for both rooms so that they could leave the doors of the 2 room open) in a full-sized room. 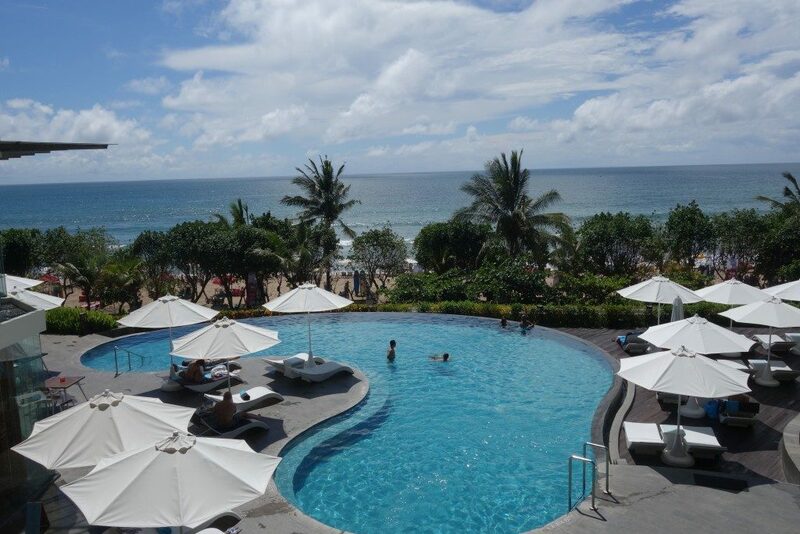 Overall, I would recommend the Sheraton Bali Kuta to families and groups of friends. It is a fun place to relax and mingle. The street is lively every night and it can be fun to explore the surrounding shops and restaurants. 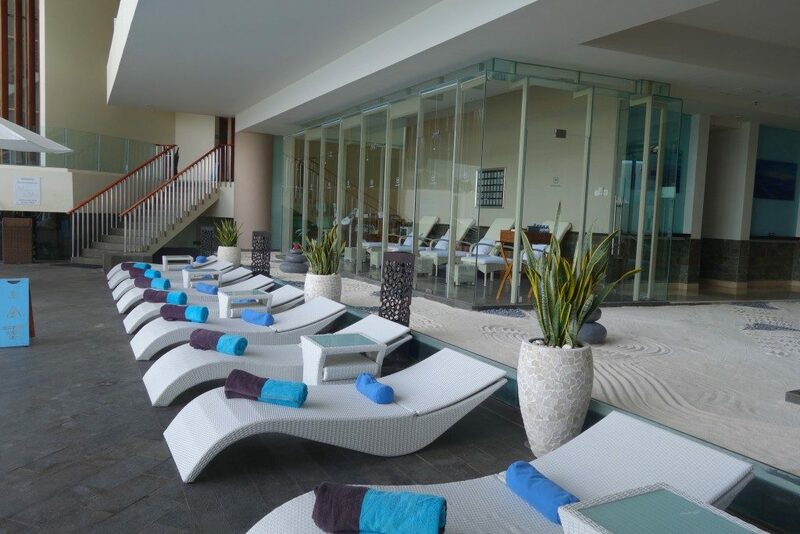 The Sheraton Kuta Bali is also home to 9 conference rooms so the hotel has really brought in the business travellers to Kuta. 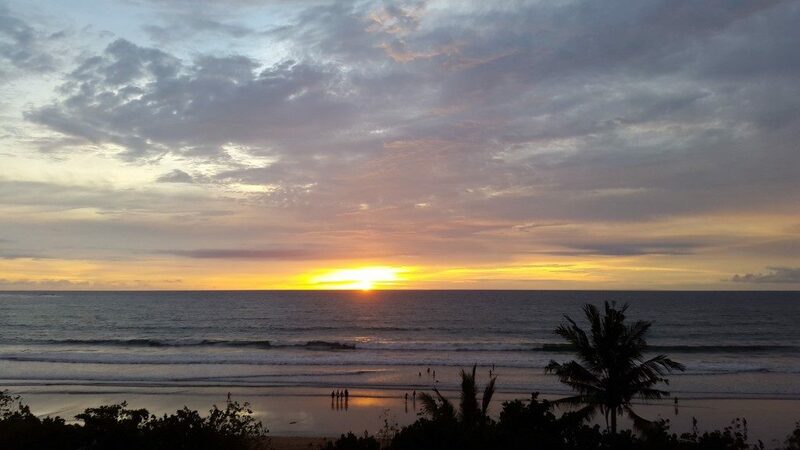 We’ve also witnessed the most gorgeous sunsets in Bali here. 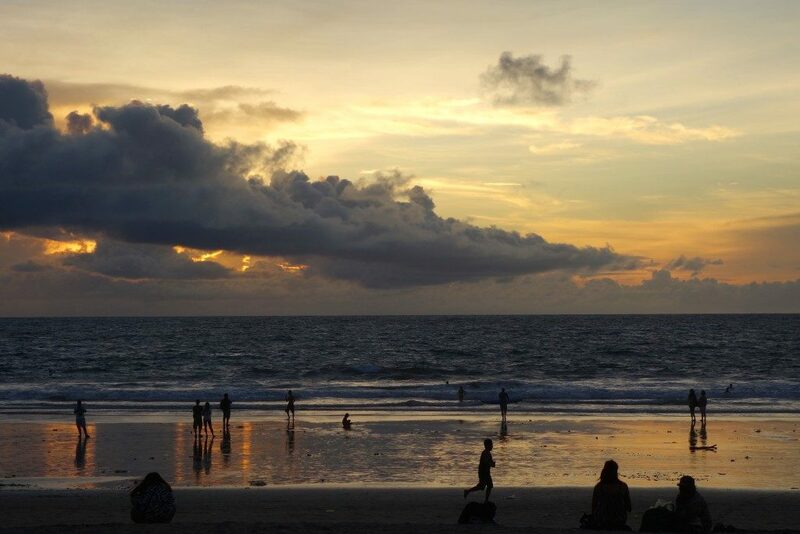 Have you been to Kuta? What was your impression? on my thoughts and opinions of this blog post. Never been, but totes on the list. I have a few buddies that have been in recent times and raved about it. The food looks delish and the beach sunsets are gorgeous. Hi Anna, it’s a fun hotel and the crowd is young 🙂 You’re right about the food – they do have a great selection and the pasta is amazing! Haha yes, I would have otherwise avoided Kuta at all costs! But the mall was really a good, open place to shop. Very relaxing! Love your dress! Did you buy it in Australia? If so where? Hi Lesley! The dress is from ASOS,I got it early last year, it was on sale 🙂 It’s been a staple for me to bring it to resorts! Thank you Paula 🙂 That’s amazing this visit was in January too! Yes my experience of Kuta was much milder than I anticipated, though I didn’t really go out at night. What a lovely looking hotel, the room in particular looks very inviting!